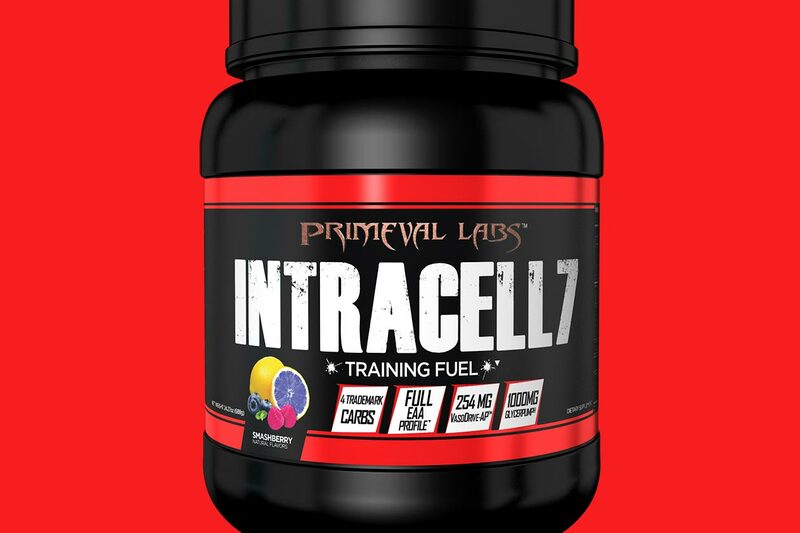 Primeval Labs has dropped the formula behind its upcoming intra-workout powerhouse Intracell 7 Black, and like a lot of the brand’s supplements, it is loaded. Primeval has stacked the product with a heavy 34.4g serving size including all nine essential amino acids and a carbohydrate blend. You can see the full facts panel for the supplement directly below which starts with a blend of all nine EAAs. The aminos all combine for a weight of 5.82g which is mostly made up of BCAAs at a dose of 5g, leaving the other six EAAs at 820mg. Next on the list for Primeval Labs new Intracell 7 Black is an almost one and a half gram blend of electrolytes for hydration. The intra-workout then has a hefty 20g blend of carbohydrates for fuel including the branded carbs Cluster Dextrin, ModCarb, Palatinose, and pea sourced Carb10. Rounding out the combination of ingredients in Intracell 7 Black is its performance blend with features for both pump and performance. That includes 2g of taurine, and the pump ingredients GlycerPump glycerol at a gram per maximum serving and 254mg of VasoDrive AP. Primeval Labs is due to launch Intracell 7 Black sometime this week with its own online store being the first place to stock the product. It’ll be available in 20 maximum serving tubs or 40 regular servings, with flavors like Smashberry which is also available for the brand’s Mega Pre.